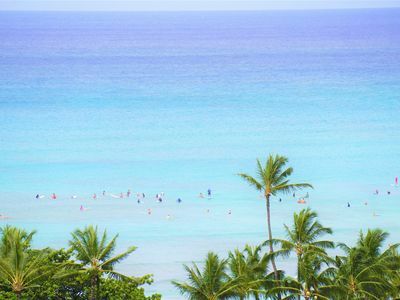 Where would you rather be but in Waikiki! 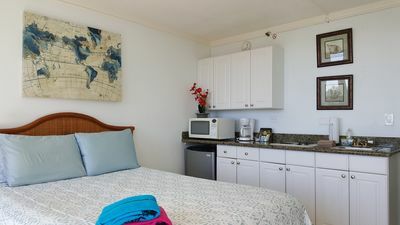 Very well stocked with everything you need to make your stay a comfortable one. 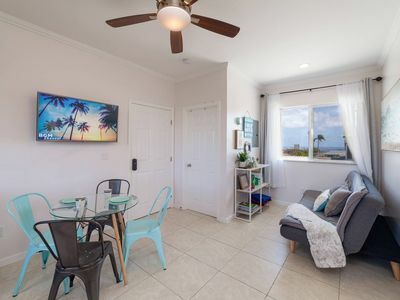 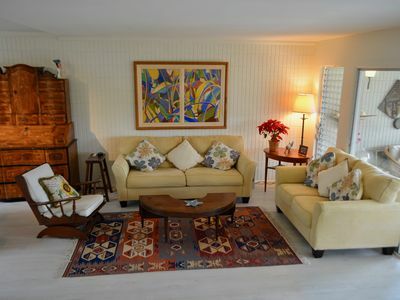 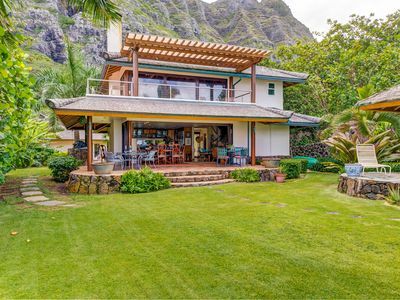 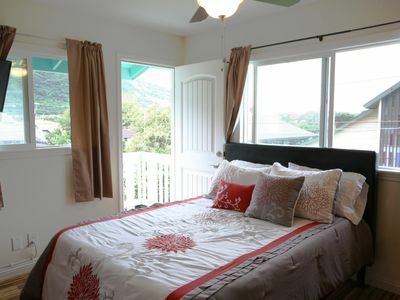 Enjoy the large lanai to enjoy the view & your morning coffee, watch the sunrise come up over the Ko'olau mountains, the outrigger canoes training on the Ala Wai Canal. 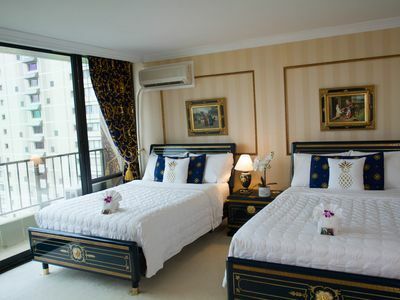 Our building has just completed a total renovation. 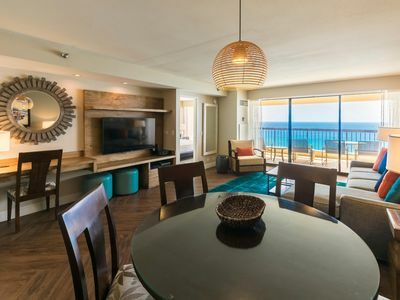 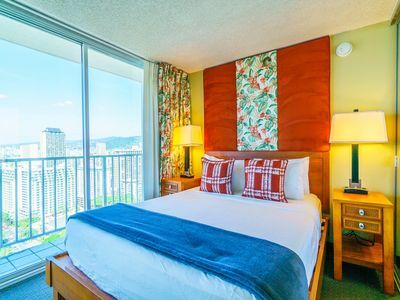 Enjoy the sun around our pool, with nicely decorated bathroom/change room and sauna areas...head up to the roof top to lounge around...or gather with your family and friends in the entertainment area & kitchen while you use the Gas BBQ with glass walls overseeing all of Waikiki. 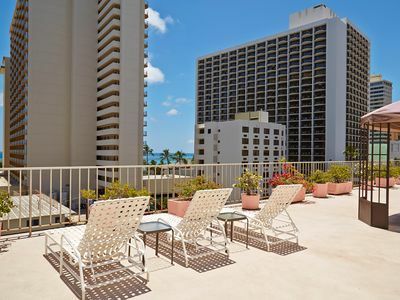 This great rooftop is like an extension of your condo...or unwind at the end of your day with a glass of wine watching the stars! 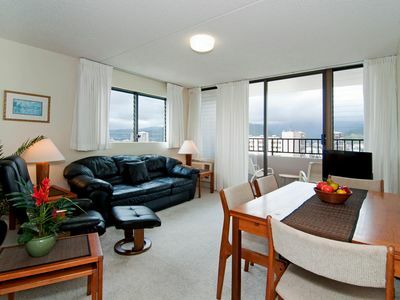 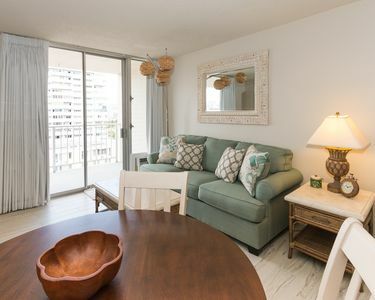 Location is a short 10 minute walk to Waikiki Beach, shopping at it's best, with great dining just out your doorstep! 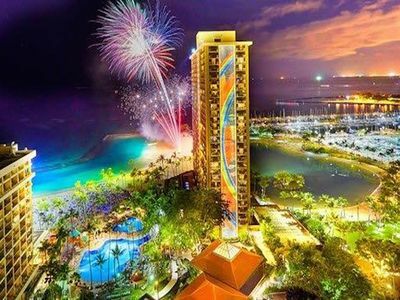 Waikiki attractions, centrally located. 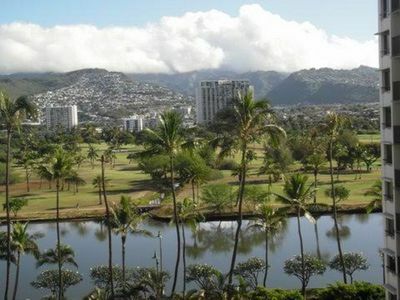 Bus stops are a block away that will take you anywhere you want to go. 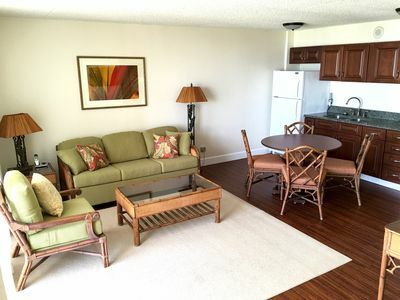 Assigned parking and free WIFI are included in your rental stay. 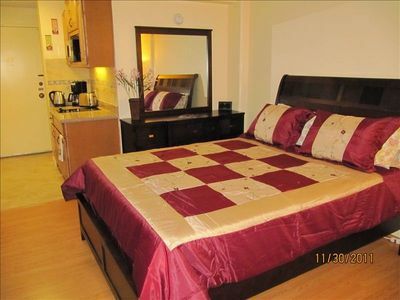 Building amenities include, a nice size pool, Hot tub, work out room. 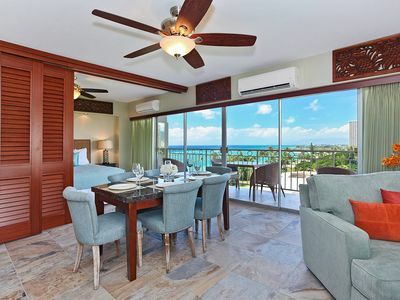 Rooftop offers with a BBQ area and kitchen for you to enjoy. 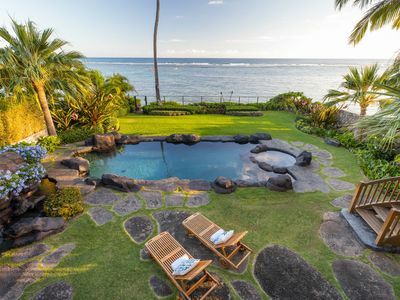 The view from the rooftop is panoramic. 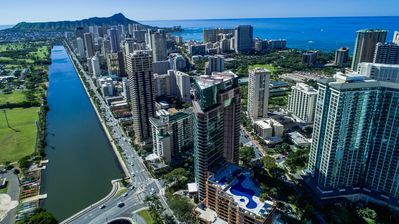 As a owner, I have a excellent Tips letter about our condo and Waikiki area...tips on dining, getting around Waikiki etc. 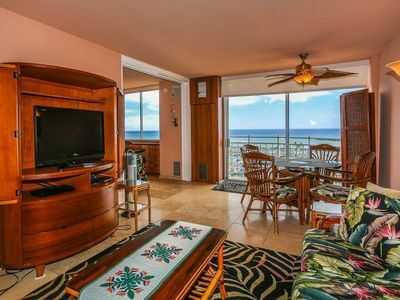 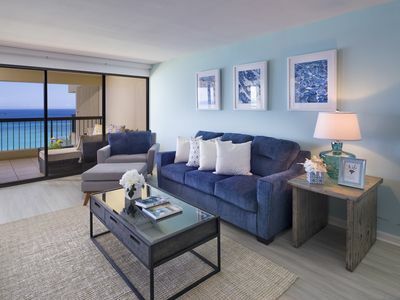 Hilton Hawaiian Village 2 bedroom in the Stunning Lagoon Tower!